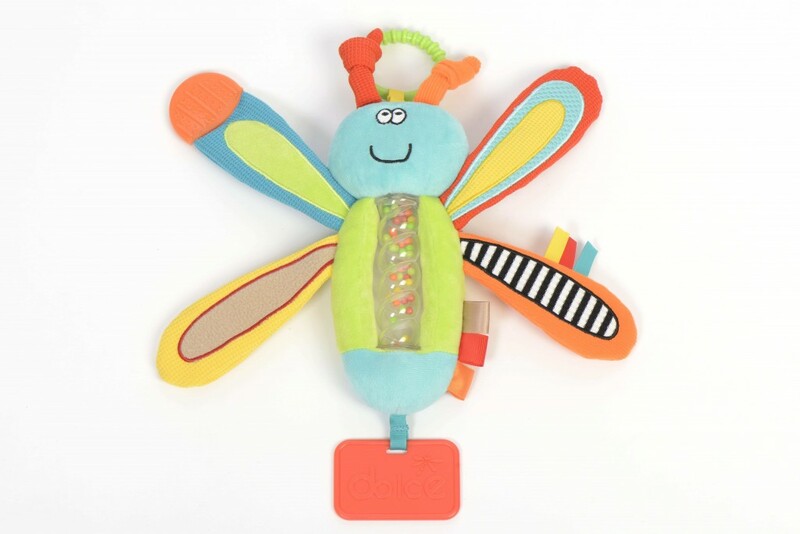 This dragonfly makes a beautiful toy that can be played with in the hand or hung from a stroller or cot by the teether connector ring. The center of the dragonfly is made up by a waterfall rattle with little beads that will fall back and forth depending on which way around the toy is held. 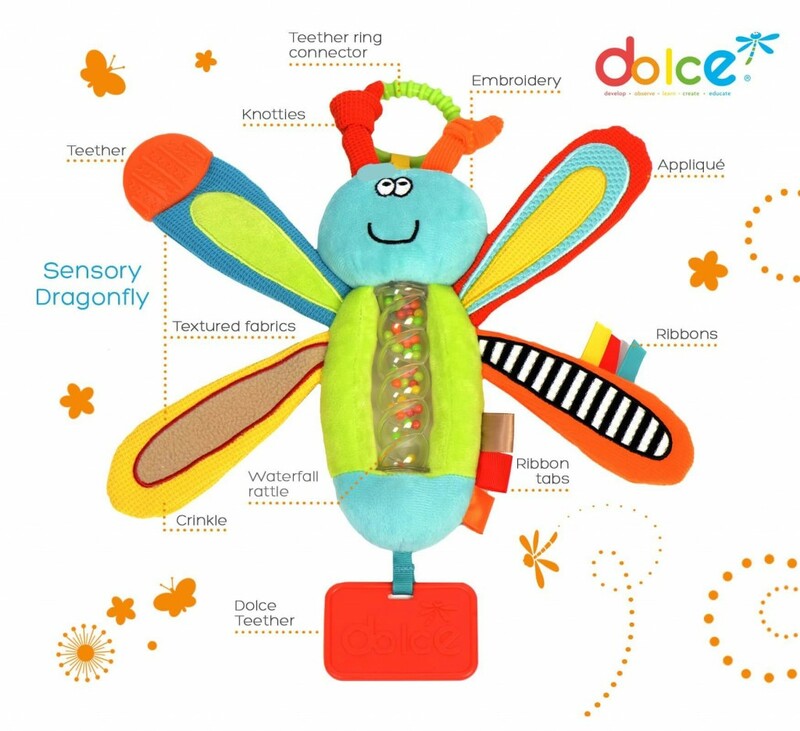 • Touch: The different textures and crinkle wings are extremely satisfying for children to play with.